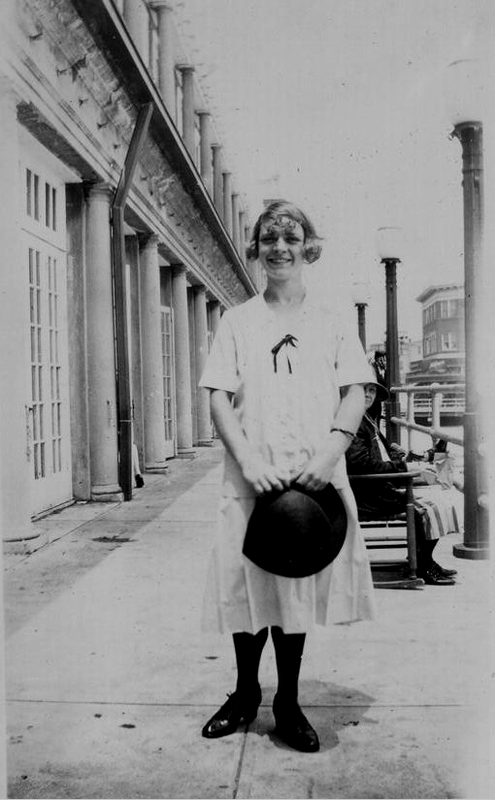 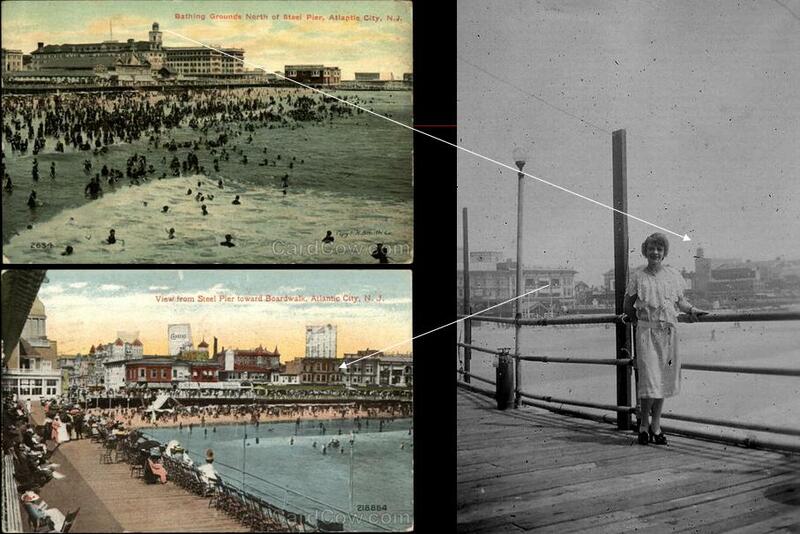 Nanny Tyralla too was part of Atlantic City’s vaudeville scene – on more than one occasion. 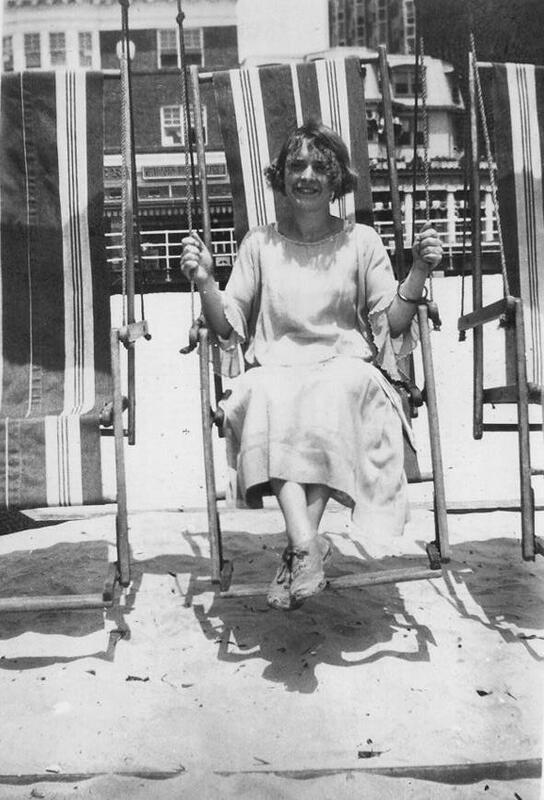 Early in the twenties she visited its ‘Million Dollar Pier’ and is shown here in July 1926 eyeing up her troupe's Six Rockets ad in Das Programm, a German-language professional journal. 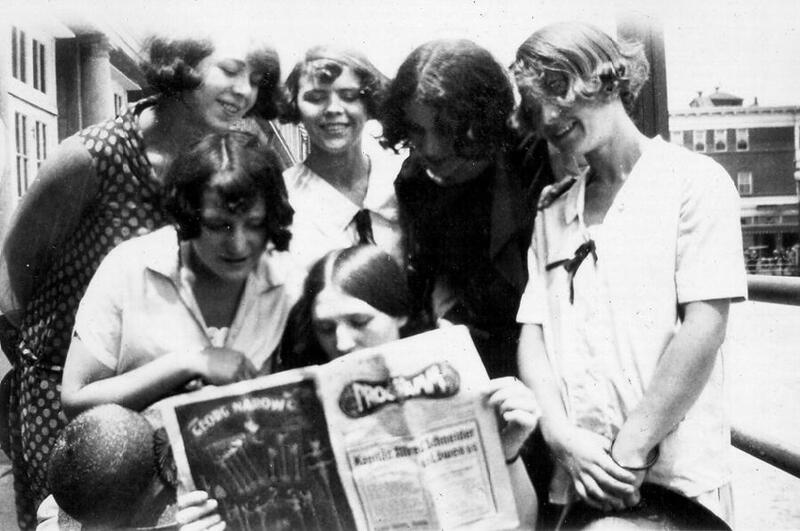 In between shows, the girls would take time out to relax, and visit Fralinger's, famous since the 1880s for its good old fashioned candy called Salt Water Taffy. 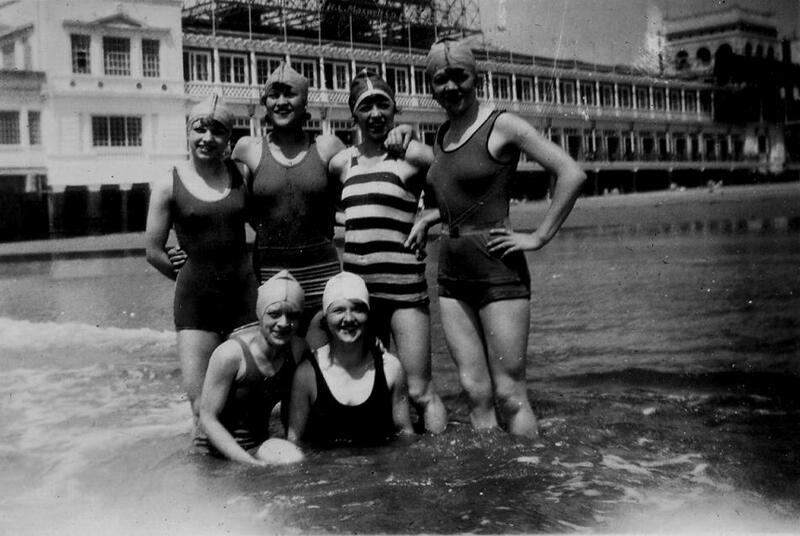 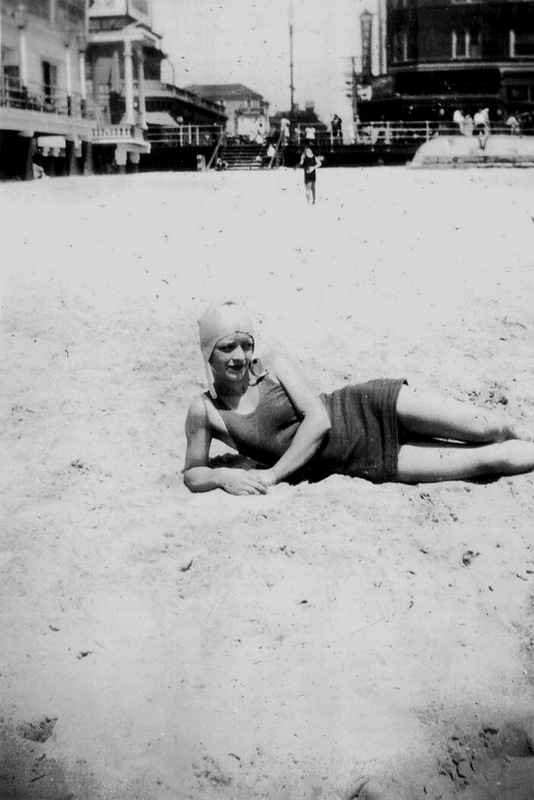 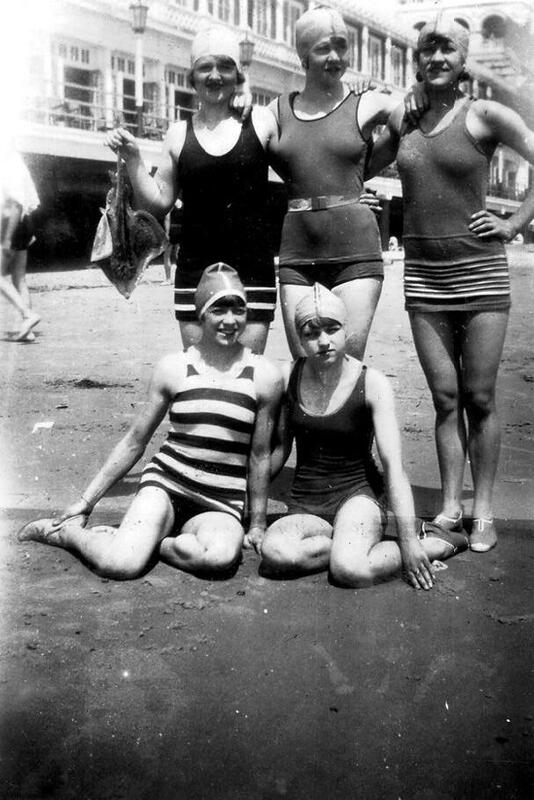 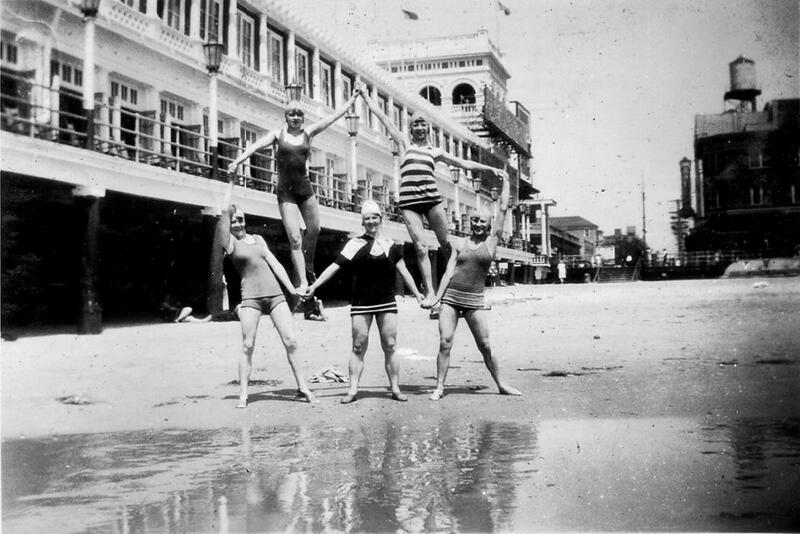 Several years later Nanny Tyralla returned with a new team that included her sister, Margot to perform (and pose) before the Million Dollar Pier. 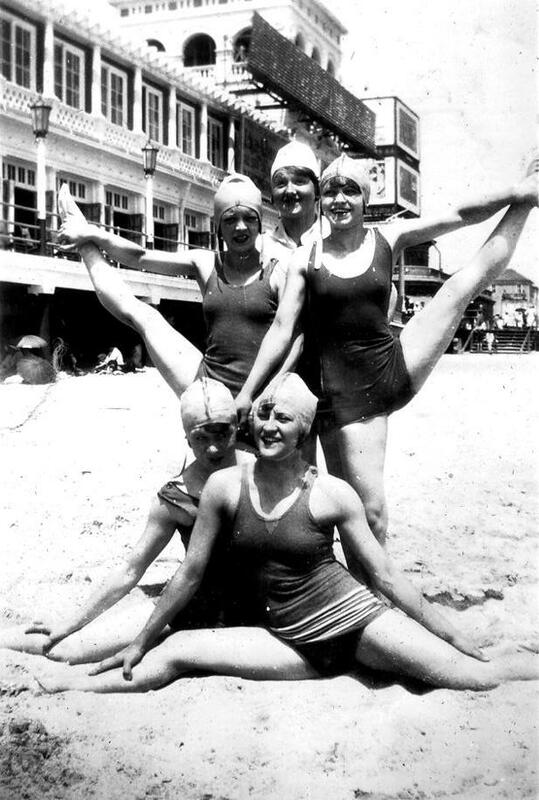 Being an acrobat act required constant training, perfecting Arabian Pyramids, even on the beach! 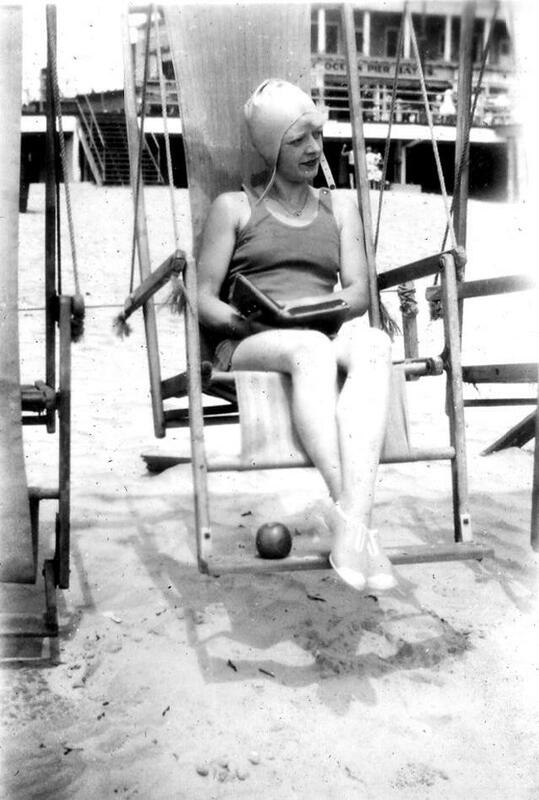 But she also found time to lounge once more on its famous deck chairs that is, when the team were not doing a spot of stingray fishing or relaxing on its other famous ‘Steel Pier’! 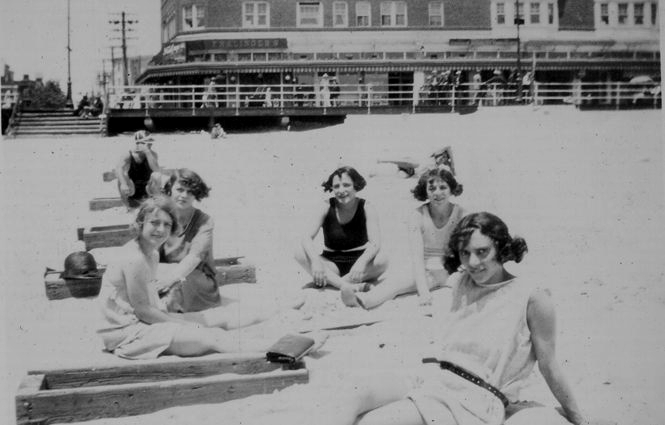 NB: Prohibition-era Atlantic City is subject of the HBO film series 'Boardwalk Empire: The Birth, High Times, and Corruption of Atlantic City.' 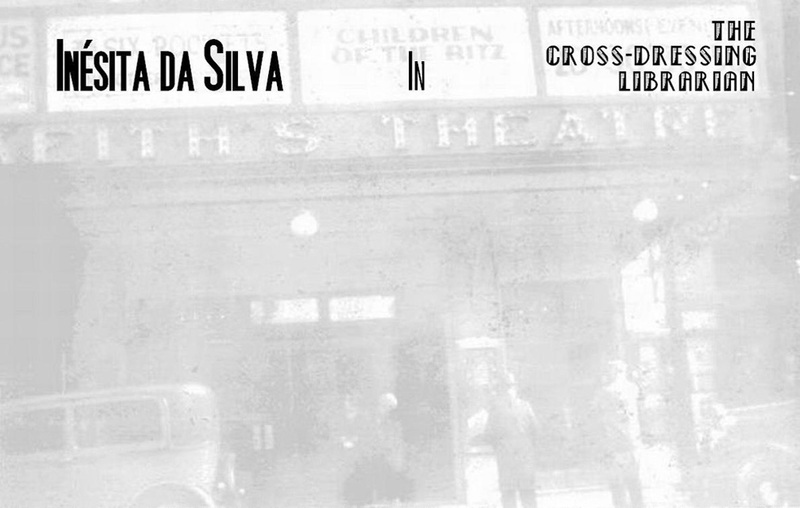 It is based on the book of the same name by Nelson Johnson.